One industry expert reveals a key area that can make or break and employer’s reputation. Dismissals and redundancies are an inevitable part of employment but getting the process wrong could destroy your employer brand, warns one industry expert. “Typically, the companies that have a good employer brand or a good name in the market, are the ones that treat people fairly coming in the front door and going out the back door,” says Jeff Welton, managing director of Verity People Solutions. Welton, who has over 30 years’ experience in the HR industry, now advises organizations on how to best execute employee terminations – he says dismissed employees may even go on to be informal ambassadors for the company if they’re treated correctly. “These folks come out and they may not like the decision that they were let go but to be able to say that they were handled and treated fairly and provided with support, that’s fantastic news for the organizations that are letting people go,” he told HRM. Terminations can also have a tremendous impact on remaining staff, warns Toronto-based Welton. “The other remaining employees watch to see how that organization manages terminations and treats people on the way out,” he stresses. “If everything is done properly and professionally, with the utmost respect for the individual, then your remaining employees – while they might not like the decision – will look at that organization and know it believes in its workforce,” he told HRM. 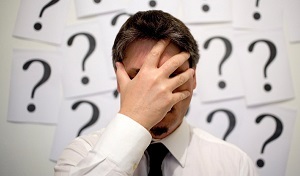 So what are the most common mistakes that catch HR professionals out? According to Welton, there are more than a few. “I’ve seen people get terminated on their birthday, I’ve seen situations where the manager doesn’t really know why the person is being terminated or what their package will be, I’ve seen when HR doesn’t have a good script for the manager so they start going off on a tangent which takes them down a hole they don’t want to go,” he reveals. “I’ve seen managers ill-prepared to have that right level of conversation, I’ve seen HR folks who want to get it over so quickly that the employee has barely sat down and they’ve run out of the room,” he continues. “Basically, not being prepared, not knowing enough about the individual and not having all the facts straight when you sitting down with them,” says Welton, who adds employers often overlook the issue of collecting belongings and communicating the departure to colleagues. “If they’re a boss of a team or part of a team, oftentimes they’ll want to know how you’re going to communicate that and may want input,” he says. What should HR do with an alleged harasser during the investigation?